The Huebscher & Co. name dates back nearly 100 years, when it opened its doors in the 1920s as a wholesale toy business in Vienna, Austria. Today, Huebscher & Co. is a prominent and successful international professional services consulting firm, but its origins stem from Pre-World War II Europe. 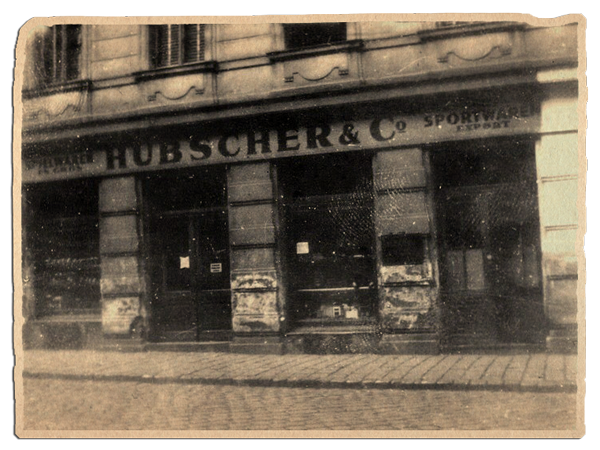 Hübscher & Co., as the company was originally named, was created by Jewish brothers Jacob and Julius Hübscher. As the Nazis gained power before the start of World War II, Hitler annexed the Huebscher family's native Austria in March, 1938. Jacob knew it would be dangerous to live as a Jewish business owner in occupied Austria, so two days after the German annexation, he proceeded to stand in line at the U.S. Embassy to register his wife and two sons for visa applications - that turned out to be a key life saving decision and action. "My father knew what was in store for us," said Jacob's son, Herbert Hübscher. Because he and his brother were born in Vienna, the boys received their visas first and left behind their parents - to live with family members in America. The boys arrived in New York on November 8, 1938, just one day before the Nazis undertook the most vicious action yet against the Jews. On November 9, 1938, the infamous Kristallnacht, also known as Night of the Broken Glass, took place. On Kristallnacht, Nazi stormtroopers and civilians alike systematically pillaged, vandalized and burnt Jewish stores, homes and synagogues throughout Nazi Germany. Countless Jewish men were arrested and Jacob Hübscher was among them. The Nazis had already seized the Hübscher & Co. business, never to be returned to the brothers who successfully ran it for over a decade. After several weeks of physical abuse Jacob was released from prison. He and his wife received their U.S. visas the following year. World War II officially began on September 1, 1939 and the Hübschers were able to escape the Nazi regime only a month later, by fleeing to America. "They barely got out," said Herbert. For over a year, he waited in New York for his parents to arrive, assimilating well into the American culture. His parents required both boys to take English lessons before leaving Austria and Herbert tested out of his age groups at the local American schools he attended. Meanwhile, his brother moved to Los Angeles to live with other relatives. "It was a very difficult situation, we came with nothing," said Herbert about the Huebschers' new life in America. "My father did have a strong business education though." With his business experience, Jacob was able to slowly build an accounting practice in New York. "It was not easy," Herbert recalls. "But it was life saving." For 60 years, the Hübscher family business name lay dormant. Today, Huebscher & Co. is a prominent, successful financial and management consulting agency, owned and operated by Eric Huebscher, son of Herbert Huebscher and grandson of original owner, Jacob Huebscher. "The continued naming of our company is in tribute to my Grandfather, my Father and their entire family," said Eric. The Hübscher name stands for strength, perseverance and old-fashioned hard work, just as it has for nearly 100 years.